PM6300A5 it's a control board for AMT resistive screens in sizes all. 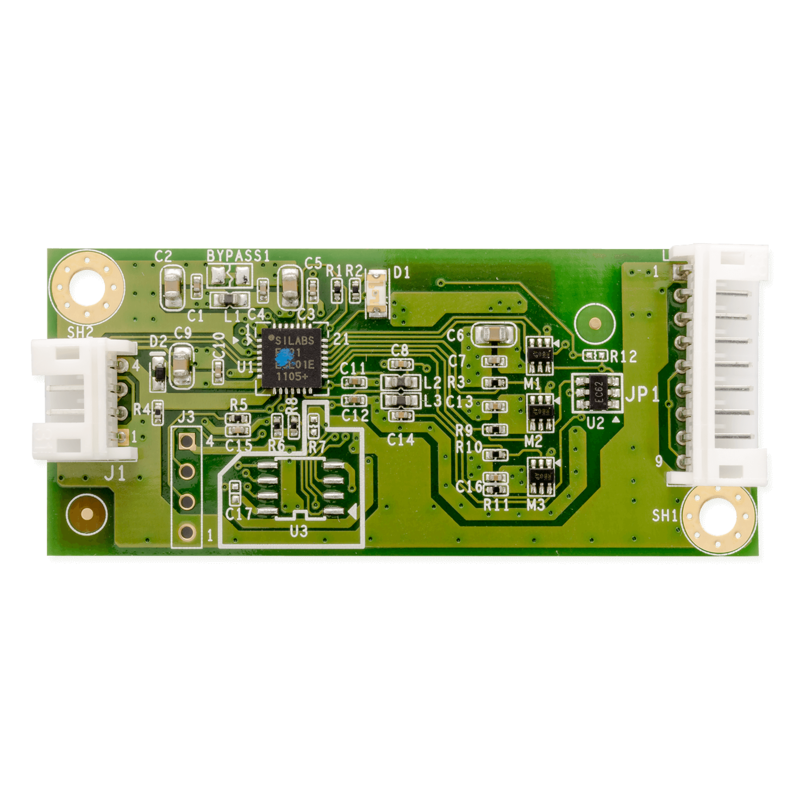 The board is based on PenMount controller, equipped with USB interface and complemented by PenMount drivers which can be used directly in Windows, Linux and Android operating systems. Controller has 2048x2048 resolution. It may be powered by 5V and work within industrial temperature range (-20~70°C). Unisystem in cooperation with AMT provides full technical support regarding offered products. We can help you in implementing drivers to chosen operating system or in writing your own handling procedures. To all controllers, there are available Windows/Linux/Android drivers. Moreover, AMT programmers may create drivers compatible with indicated operating system. The basic parameter of the touch screen equipped with a capacitive sensor is its thickness. AMT offers them in a very wide range, from very thin (from 1 mm) to significantly thicker (up to 15 mm). Depending on the touch screen’s thickness, users can configure the controller with one easy and user-friendly PenMount PCIUtility program. The maximum supported thicknesses depend on sensor type, controller and firmware. EMI (electromagnetic interference) is a common phenomenon in our environment and may have an effect on functioning of most electronic devices. In case of PCT (Projected Capacitive Technology) products, this results in the touch detection interferences. In PenMount controllers there are implemented extremely effective hardware and software solutions to avoid interferences on various frequency bands and maintain the accuracy of touch detection. AMT's PCT solutions meet the highest EMC standards and can be successfully used in industrial, medical and military touch applications. AMT provides customers with complete documentation and refined drivers along with source code. Users can immediately use AMT touch screens on their operating system or develop their own drivers for I2C, USB and UART / RS-232 interfaces. The drivers are available for both ARM (the majority of embedded and mobile systems) and x86 / x64 architecture (all versions of Windows from 3.1 to 10, most popular Linux versions: Ubuntu, Debian, OpenSUSE, RedHat, Fedora, CentOS). AMT provides customers with all libraries and source codes for free. AMT offers a complete touch panel calibration solution. PenMount PCIUtility will save valuable time and is available for both Windows and Linux. Among others, user can choose screen size, glass thickness and interface and control parameters responsible for sensitivity and amount of detected touch points. User can also specify how the screen behaves when exposed to water or when working in gloves. Parameter settings can be both exported and imported, allowing you to configure efficiently more screens. In addition, PenMount PCIUtility offers tools for measuring noise levels and panel calibration.